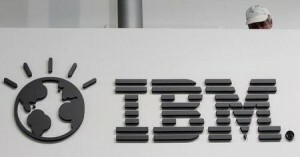 IBM Corp is to share its technology with companies from China and will help on an active basis to build industry in China, said Virginia Rometty the CEO at IBM in Beijing as she mapped out a strategy for one of the firms hardest hit by the shifting technology policies in China. IBM must be willing to help China build its own IT industry instead of viewing it solely as a destination for sales or base for manufacturing, said Rometty at the government sponsored China Development Forum the brings together business executives with the ruling elite of China. If you have 1.3 billion people, as does China, an IT industry is needed, said the IBM chief executive Monday. She said some companies could find that frightening, but IBM sees it as an opportunity. The remarks made by Rometty were amongst the clearest from a high ranking executive from a from foreign tech company acknowledging that companies need to adopt another tack if they want to continue working in China amidst the growing political pressure. Several U.S. tech companies that have operations in China have formed alliances with local operators, hoping a local partner would make it much easier to do business in the tough environment for all foreign companies. China has pushed for use of more technology that is Chinese and less that is foreign made to grow its own tech segment and because of the leaks made by Edward Snowden the former contractor for the National Security Agency about cyber surveillance by the U.S. In China, IBM sales have stabilized following a dramatic drop that started during the 2013 third quarter following revelations by Snowden. During the final quarter of 2014 IBM, based in Armonk, New York, reported a slide of 1% in its revenue in China. This new approach by IBM will allow companies in China to build things from servers and semiconductor chips based upon IBM architecture, to the software running on the same machines. IBM has made partnerships with several vendors in China and other vendors are doing the same.